I spent my Easter weekend just outside Leeds with Howard's family, having met Howard at Coventry Airport on Good Friday for my requested lunch stop: the DC-6 Diner. 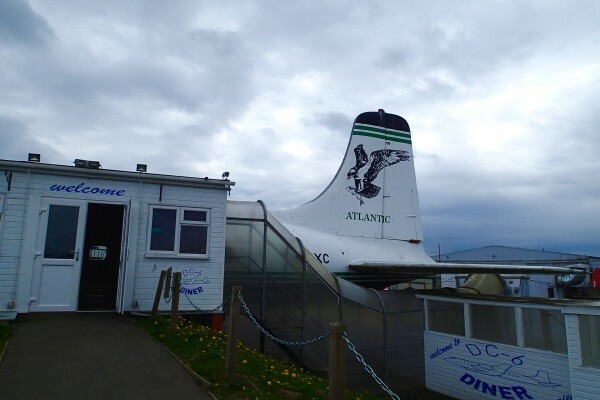 This, as the name suggests, is a Douglas DC-6 converted to a cafe. If that wasn't exciting enough, in a past life it was used by the CIA for covert ops, and it appears in the 2006 Casino Royale. If, like me, you are a massive child, you can also pass the time while waiting for your sausage sandwich by sitting in the cockpit. 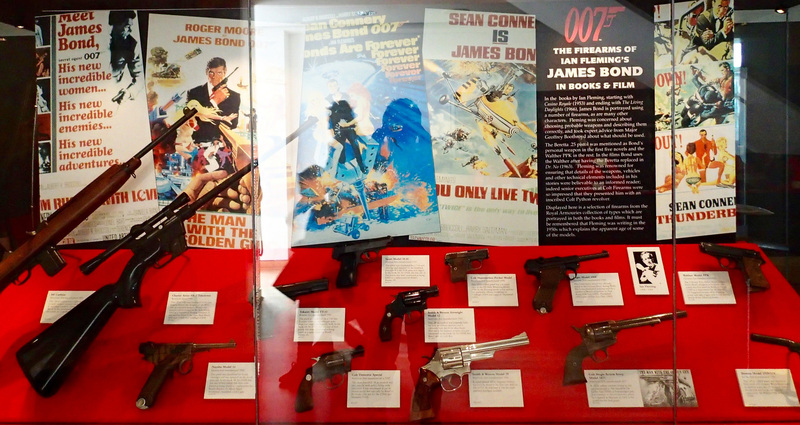 On Saturday we visited the Royal Armouries, where I learned a lot about jousting, tried and failed to get my head around the Battle of Waterloo, and was delighted to discover a display of guns mentioned in the James Bond novels. Beretta? Ladies' gun, sir. Sad, really! But I was grateful for the opportunity to go on board. This, as the name suggests, is a Douglas DC-6 converted to a cafe. Very cool — I'm surprised this place isn't more well-known than it appears to be. Heh, and that Luger in that picture reminds me of a plastic toy gun I won at the funfair when I was little (that one was actually a Mauser C96). :) So, would it be your choice of gun? Or would you pack something else? I thought it would be packed out on a Bank Holiday with lots of people travelling, but no! It is a bit out of the way, on an industrial estate behind the airport. I did rather like the Beretta! Coming from a position of knowing nothing about guns, I was attracted to all the small, 'cute' ones. I was particularly taken with the Browning 1910, the kind used to shoot Archduke Franz Ferdinand.